Keep your office essentials close by with the many storage drawers built into this skillfully crafted Hardwood Executive Desk. Handcrafted with a solid raised panel wood back and a 42" deep overhanging top so you can keep this large desk out in the middle of the room and allow clients or co-workers to easily pull a chair up to the back of the desk. 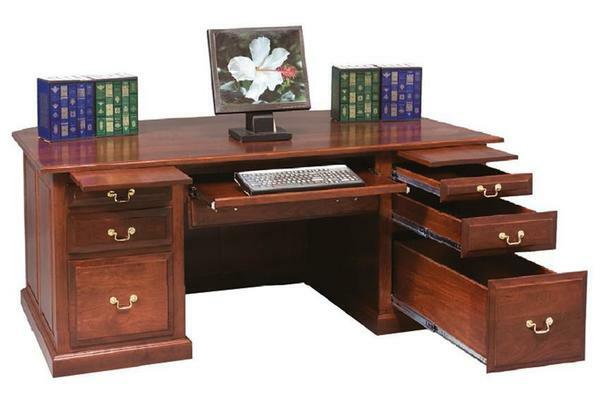 Contact one of our furniture specialist for additional information on this beautiful solid wood raised panel Executive Desk.